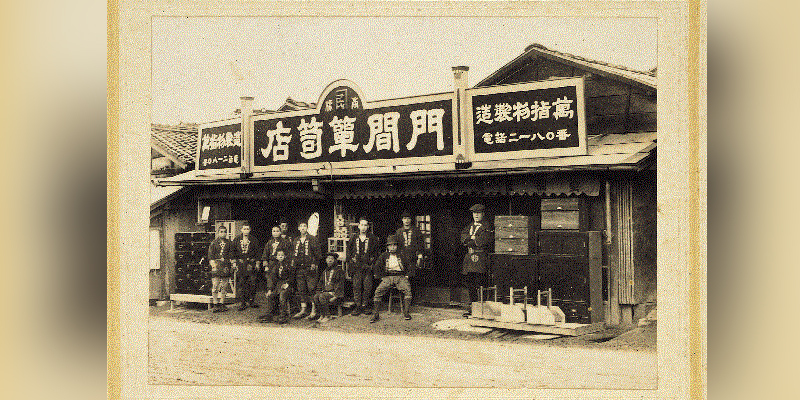 A well-established business starting from the 5th year of the Meiji era (1872), Monmaya has been Sendai’s (Miyagi prefecture) one and only manufacturer of traditional Sendai Tansu (a chest of drawers) for 140 years. Even while other traditional makers shifted from Japanese to Western-style furniture after the Second World War, Monmaya stubbornly kept on producing Sendai Tansu with experienced craftsmanship and a strong passion. 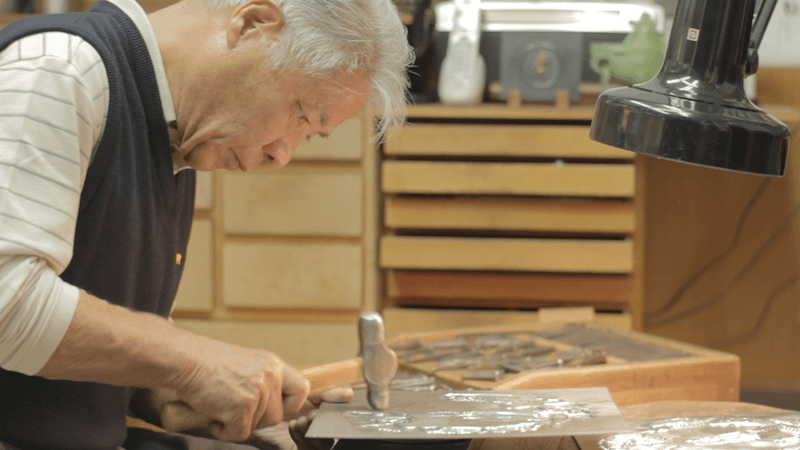 The great joiner master, Susumu Fukui, who is on the video, has been working at Monmaya for more than 60 years since he was 15 years old, and he and other craftsmen lacquer smiths and black smiths are deeply engaged in handing down the skills of Sendai Tansu to young artists. Sendai city is located in Miyagi prefecture and is 3hours away from Tokyo by Shinkansen (the bullet train). Sendai city used to be a castle town, located in a region controlled by the Date clan. In the early 1600s Sendai was a commercial centre as it was favorably situated on the Ohu-kaido highway and Pacific Ocean shipping routes.The Sendai Tansu (a chest of drawers) style originated at the end of the Edo period (1603-1868). It is said that a master carpenter, Umemura Hikozaemon, was the creator of Sendai Tansu when he worked for Date Masamune (The first lord of the Sendai domain). Date Masamune wanted a solid and stately Tansu chest for the main enclosure of the Sendai castle which he had built, and Umemura Hikozaemon was chosen to design and make it. The history of the Sendai Tansu started from samurai class living. Sendai samurai used large, single-section chests with thick iron lock plates incised with various animal and floral motifs, and many had locking bars. The Samurai used the Tansu chest for stowing his samurai sword in the upper drawer, his Japanese kimono into a middle drawer, and finally any important documents or valuables into a small side drawer which had a double lock door. This compartment was almost always centered between an upper and lower drawer on the right side of the chest. These Tansu were all fixtures in the home and were status symbols. Basic Sendai Tansu were made with several types of wood as well as iron hardware. Generally, for the main frame of the Tansu, carpenters used sugi (Japanese cedar), with keyaki (zelkova tree) or kuri (chestnut tree) for drawer fronts. The shape is rectangular and a typical Tansu is around 120cm wide, 30-90cm deep and 90cm high. Chests were usually finished with fuki-urushi (wiped lacquer), or more labor-intensive kijiro lacquer. The lock plates were made in two ways, either by a metal engraving style or by metallic casting. The former style was popular and was the original way to make the lock plates. Basically, the making of a Japanese Tansu needs to go through three processes, and there are three artisans for each stage. 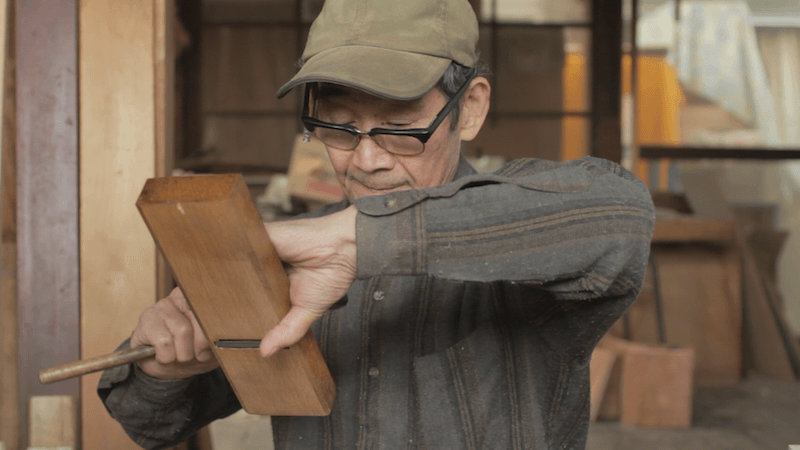 The first trio of artisans are the sashimono-shi (joiners) who controlled the whole timber processing stage of Tansu. They dried wood for approximately 10 years and after careful selection of the most suitable wood they would get to work. They would then use a plane to make the wood smooth, join the wood together firmly with bindings or adhesives that they only used for wood elements. The second group of artisans are the Urusi Nuri-shi (lacquer smiths) who coated the Tansu with lacquer. Japanese lacquer has a long history, going back at least 5,000 years to the Jomon period (10,000-400 B.C. ), wood plates from this period exhibit both black and red urushi (lacquer). During the sixth and seventh centuries, more complicated lacquer techniques came to Japan from China. From this point onwards, techniques and styles developed in Japanese hands. There are several ways to coat a Tansu. One is by fukiurushi (wiped lacquer) whereby the Tansu is first coated in lacquer, and then wiped and polished very gently and carefully. It is then dried in a drying room (as the lacquer had to be dried in a room of moderate humidity) and this process is then repeated more than eight-times. 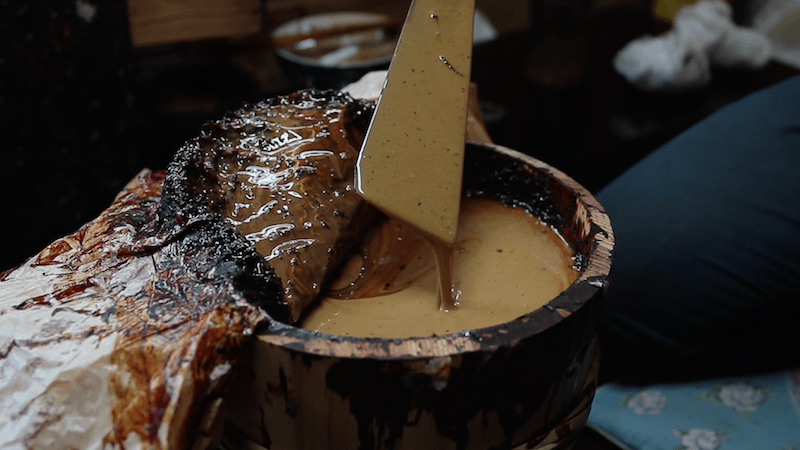 After the long process, the artisan polished the surface with Tsunoko (powdered roasted deer horn) several times, however nowadays the artisan uses an artificial polishing powder. The aim of the process is to protect the surface with thin coating and allow the wood grain to show. Another coating style is called kijiro-nuri. This coating takes a great deal more time as well as involving more processes than fukiurushi. Firstly, the Tansu is coated with lacquer seven or eight times and the surface is honed twice before lacquer is applied again in order to seep in to the surface, and then it is placed in the drying room. After it had completely dried, it was again honed and the surface was lacquered again four or five times, and again honed and polished to finish up. 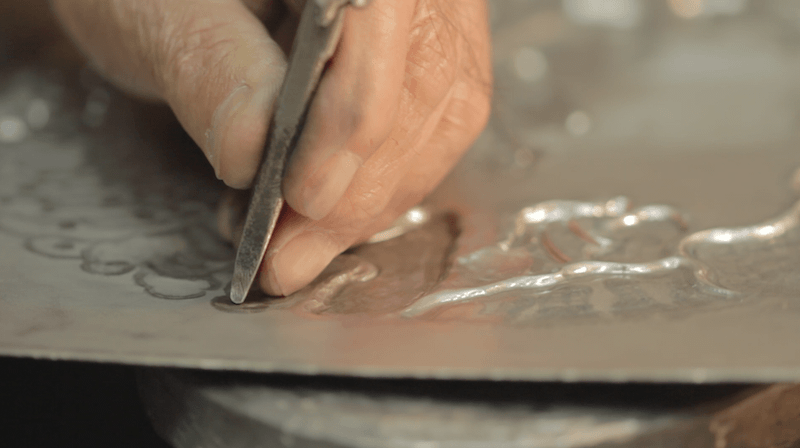 These many thick layers of lacquer make a mirrored surface of quality, and this process will keep a beautiful finish on the texture of the surface for a long time. Lacquer has a transparent quality, thus after several years the surface becomes reddish and brings out the wood grain which is worth cherishing. 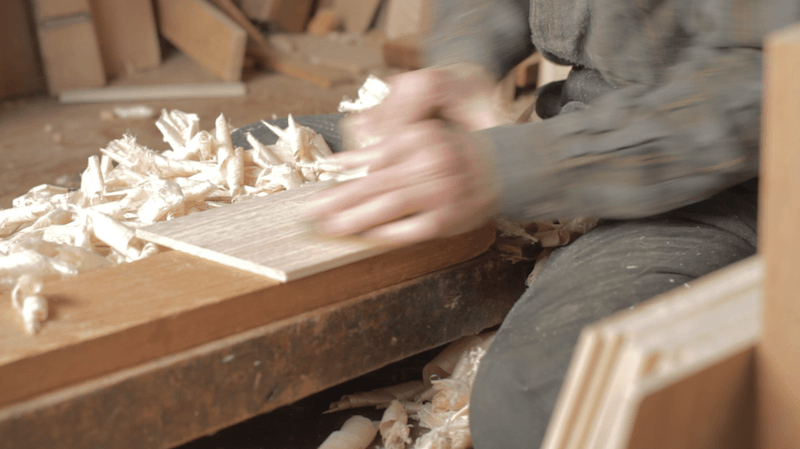 The last part of making a Tansu was the responsibility of the chokin-shi (blacksmiths and chaser) who make handles, lock plates and other hardware. The lock plates were made of thinner iron, embossed and incised with the imagery of dragons, pine trees, shishi (a lion), peony and other floral motifs. The most prevalent handle style was mokko, named for its curling melon vine style. The skill of making lock plates came from making sword guards, tools, armor and also swords. This was also to become a characteristic of the Sendai Tansu. More detail please visit our “Monmaya” brand page. Imabari Mufflers & Scarves – Inspired by a simple Towel!